‘Don’t Let Me Fall’- B.o.B. After releasing one of the worst songs in recent memory (‘Magic’), B.o.B. decided to release ‘Don’t Let Me Fall’ as his fourth single and bring some faith back into his audience. The song has always been a standout for me, so I am more than happy to see it receiving the single treatment. All of B.o.B.’s single have peaked in the top 10, but all had a featured artist. ‘Don’t Let Me Fall’ is the first single from the album to have no features, so it will be interesting to see if he can hold his own. 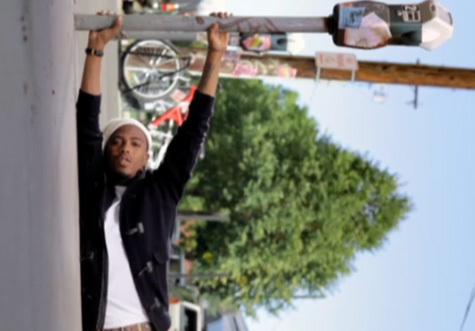 B.o.B.’s year continues to get better. After having both his debut single and album hit number 1, B.o.B. continued to rise with his second single ‘Airplanes’. He is clearly sending out a message about the seriousness his artistry with his video for ‘Airplanes’. Being nominated for video of the year off a debut album is huge, and no one deserves it more than B.o.B. Even though I can’t listen to the song for five years now because the radio played it so much that fact that it is an amazing song still needs to be mentioned. As I said in my review of the song, it captures both the emotion and relief of finally achieving success. 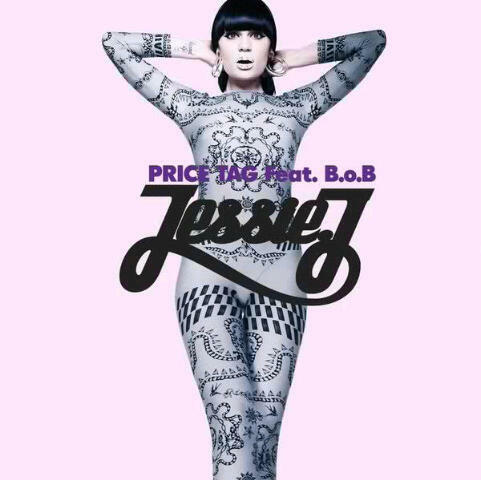 To make the song more noteworthy the video needed to reflect both the drive and lust for success. The video also needed to incorporate two artist from two different genres of music without forced. The video not only did the song justice, but it enhanced it, making it more meaningful in the process. The video could arguable be one 0f the most beautiful of the year. The way the lights were used created a collage-like affect to the screen. Many of the shots were contrasted between the colorful lights and dark figures. It could easily represent the emergence into the spotlight than one takes when becoming a celebrity. Thankfully they stayed away from anything about airplanes, which would have made the video idiotic and predictable. The focus on the stars, especially during the scene with Halley, created a beautiful tone that is often hard to capture in a video only 3 minutes long. B.o.B. will should not walk home empty handed tonight, and if he does it will be a real crime. I am so thankful that rappers are starting to put time and energy into their videos. It’s an art from that is usually look at with distaste, and video like ‘Airplanes’ prove that when done right, a music video can be moving experience. What do you think? Does the video reflect the song properly? B.O.B. is off to a good start. His first single ‘Nothin’ On You’ has been number 1 on the Billboard Hot 100 for two weeks to date (although I’m sure it will rack up its third week this week) and his debut album “The Adventures of Bobby Ray” will debut at number 1 on the Billboard 200 on this weeks chart. To keep his momentum going B.O.B. has to hit the air waves hard with he second single, luckly for him ‘Airplanes’ will do just that. The song was co-produced by DJ Frank E and Alex da Kid, the later is making a good name for himself due to his work with Young Money. The song starts out with a simple piano line and then builds with loud claps, giving the song a marching feel-the rolling drums help as well. First off the most infectious aspect of the song is the chorus, which is perfectly sung by Hayley WIlliams. She really has one of the best voice in the industry right now and it’s great that she is spreading her wings without the security of her band. The song also has mass appeal because many of the Paramore fans will simple give the song a chance due to Hayleys presence. B.O.B. has a certain appeal to him that is hard to describe because he is so diverse. He is labeled as a rapper, but he is experimenting with more sounds than the common rapper. He’s very similar to Kid Cudi, who adds more of an alternative twist onto his songs. Its excited to see that many of the new rappers are trying to expand the genre by adding other musical aspects to their songs and albums. 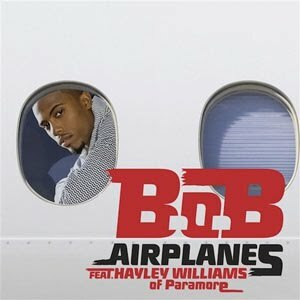 ‘Airplanes’ follows B.O.B.’s rise to fame and the hopes he had as he was coming into the game. It’s a relatable story with a catchy hook attached to it. Verse 2 of the song comments on the current state of the Rap genre and how it is more about ‘politics’ than quality. Its refreshing to see a brand new artist who is not being fully controlled by his record label. When someone wants to create good music for the sake of making music it will only create perfection. My one complaint about the song is that its too short-but that can be solved with ‘Airplane Pt. 2’ which features Eminem. Overall I would be shocked if the song didn’t do well-its already number 9 on the Billboard Hot 100 and thats mostly based off of digital downloads. Once the radio begins to pick up the song in their rotations more I would not be surprised if B.O.B. is able to pick up his second number 1.